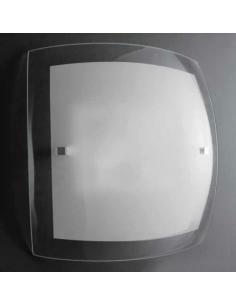 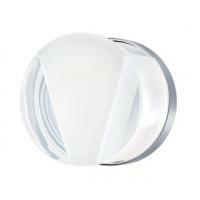 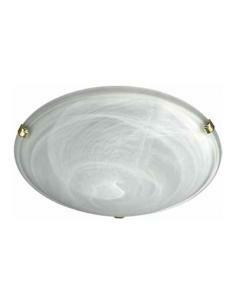 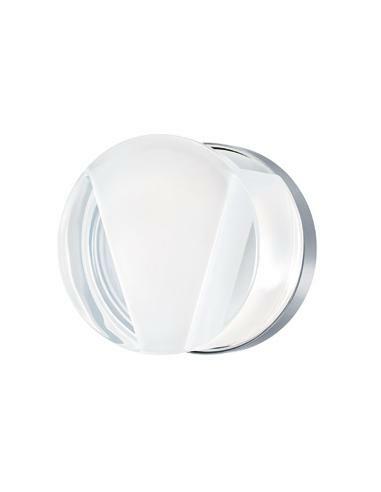 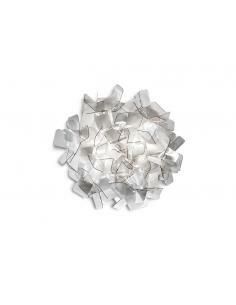 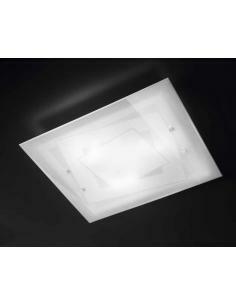 Wall lamp/ceiling with a diffuser in pressed glass, partially painted white and stainless steel structure. 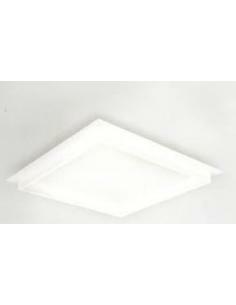 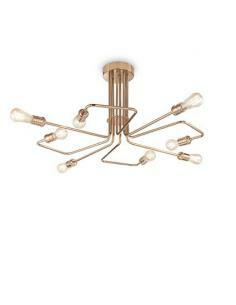 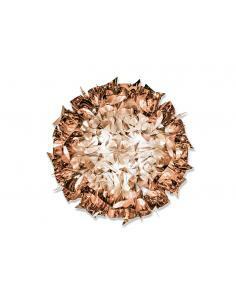 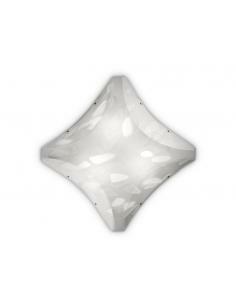 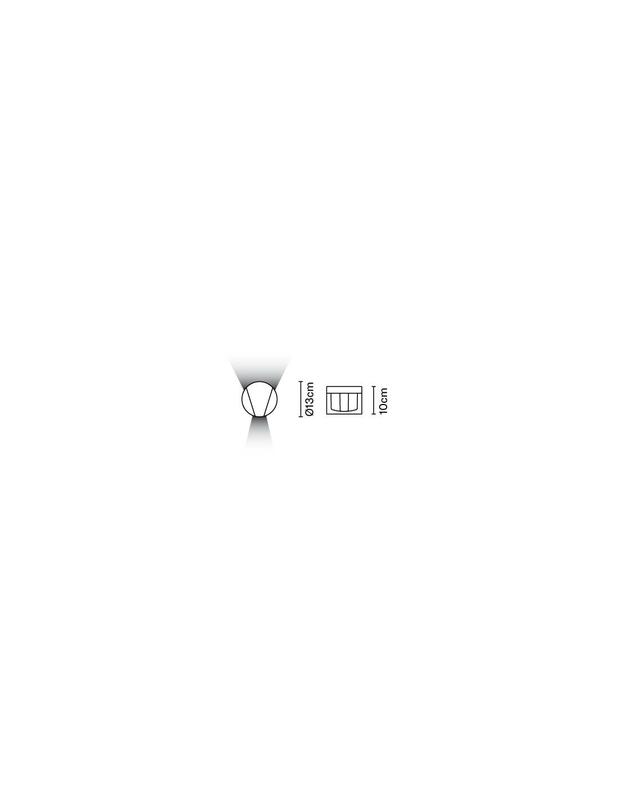 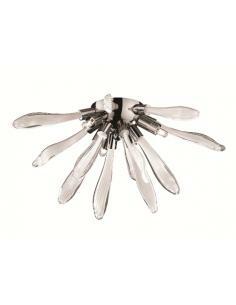 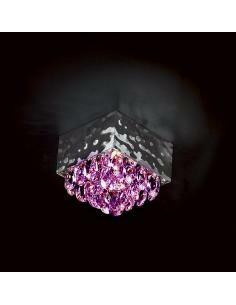 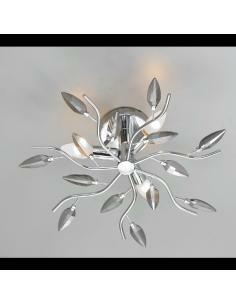 The collection consists of wall lamps or ceiling for interior and exterior. 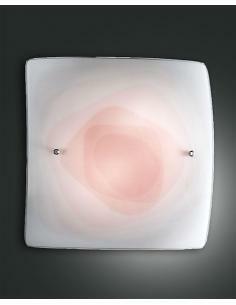 The speakers are crystal glass, partially painted white, and the stainless steel structure. 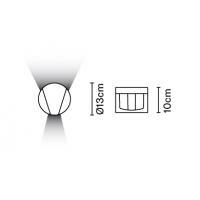 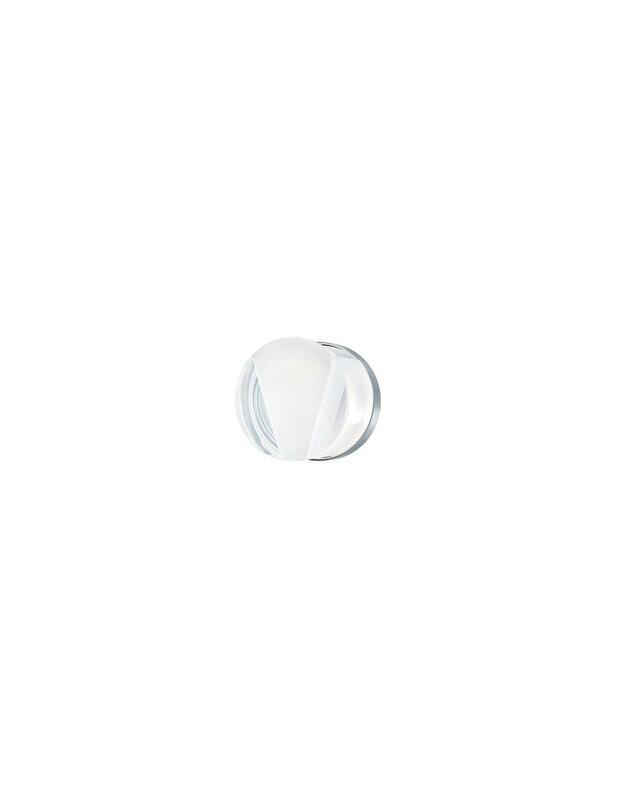 There is the possibility to choose the type of cut of the light: two-edged, wide, two narrow cuts, and four narrow. 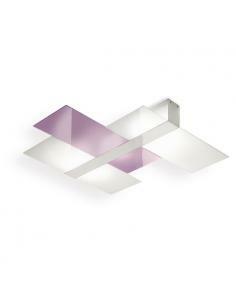 The lamp, very clean and simple, adapts to all types of environments, creating a play of light very scenic. 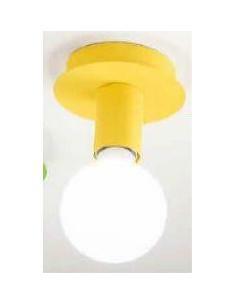 The electrification is at mains voltage for halogen lamps and LED.